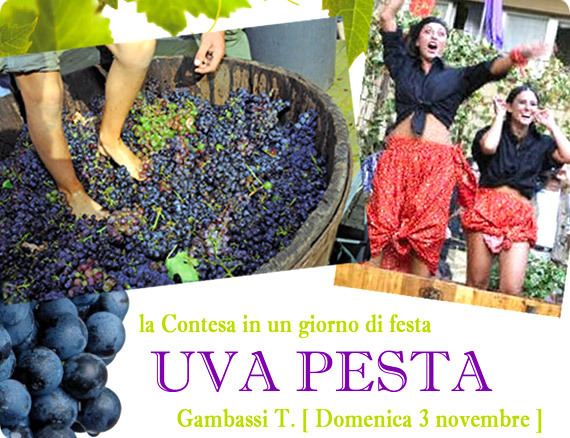 On Sunday, November 3 you can head to the town of Gambassi Terme to join in the fun of celebrating folklore and tradition, artisans and food in the first edition of the Grape Stomping Contest and Festival. Teams from Gambassi Terme and the nearby towns of San Gimignano, Poggibonsi and Tavarnelle Val di Pesa will challenge each other in the ancient game of stomping on the grapes to make wine, directly in the wood barrels. Head to Piazza Roma in Gambassi Terme from 10am to 8pm to join in the celebration. Aside from the contests, there will be an artisan and crafts markets, local products, music and free tastings of the season’s just pressed wine throughout the day. This is a great occasion to discover or rediscover local Tuscan traditions during your holiday!